Do you enjoy working with children? This is the opportunity for you to care for children while discovering the beauty of Sri Lanka! Many of the children who arrive at the orphanage have lost their parents, have been abandoned or are victims of abuse. There is very little support for the orphaned children in Sri Lanka and the only option is to find orphanages that are willing to take them in. New Hope works with local orphanages that provide shelter and care for the orphans. The orphanage is doing a wonderful job of providing food, education, housing and clothing for the children, but it faces many challenges, namely with finances and lack of staff. 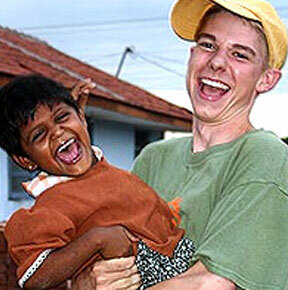 Volunteer in Sri Lanka in the Orphanage project, and help alleviate the staff issue with the orphanage. With your assistance, not only will the center be able to reach out to more orphans, you’ll brighten up the children’s lives with your love and care. In your free time, kick back at one of the many pristine beaches Galle is renowned for, or even pick up surfing! The orphanages need all the help they can get to adequately raise the children. By offering your time, energy and attention, you bring a whole new positive energy to the daily life at the orphanage. Volunteers will contribute in caring and teaching the children. By hosting volunteers, the orphanage also received a small donation, which goes into providing food and clothes for the children. Besides providing support to the orphanage, your presence will also brighten up the days of the children, and motivate them to work towards a better life. There are no specific qualifications needed to volunteer in the Orphanage program, but your understanding of the Sri Lankan culture and language can help to improve your experience. + We recommend enrolling in our one-week Language & Cultural Immersion program. Volunteers should also be enthusiastic, reliable, flexible, patient and strive to be good role models for the children. Volunteers must also respect the locals and the host organizations, along with their rules and projects. This location program is located in Galle, approximately 120km from Colombo. It is a small and beautiful town, and one of the most popular tourist spots in Sri Lanka. Galle boasts a pristine, beautiful coastline and diverse landscapes including beaches, marshlands, dry plains and hills. There are many prominent landmarks in Galle that stands as an ideal example of a fortified city built by the Europeans in South and Southeast Asia. The lasting architectural style is a unique fusion of European buildings with South Asian traditions. The Galle Fort is a world heritage site and remains the largest fortress in Asia built by Europeans. Free time allows volunteers to explore beautiful beaches or visit various Buddhist and Hindu temples as well as mosques, churches, parks, zoos, national parks, museums and art galleries. Many beautiful communities on the north side of Galle provide a chance to explore Sri Lankan village life. Volunteers will have access to internet cafés and other traveler amenities in Galle and many restaurants in Galle serve western-style foods.